WUNC's Back Porch on the Lawn series continues this Thursday, August 28 with Mipso. Bring your picnic basket and cooler (no glass, please) to dine under Durham's Lucky Strike Tower. The show starts at 6. Mipso is a relatively young band formed in Chapel Hill, but they have accomplished some great feats during their existence. 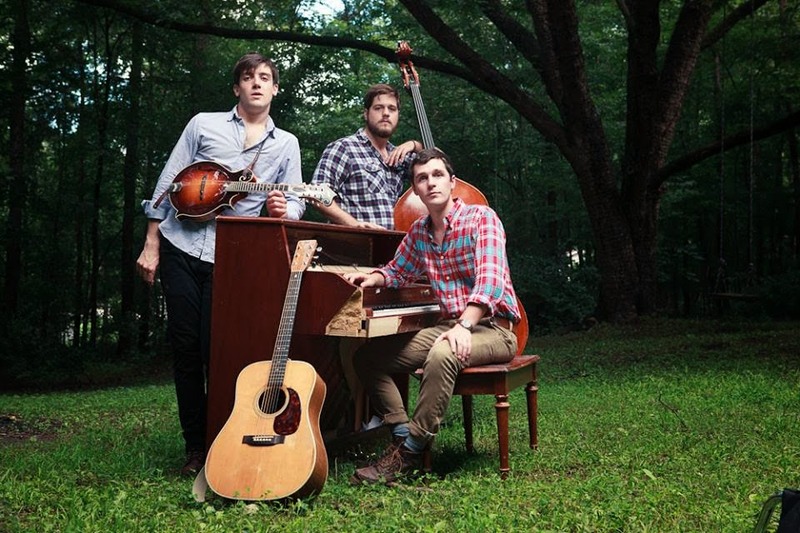 Jacob Sharp, Wood Robinson, and Joseph Terrell make this three-piece of self-proclaimed "renegade traditionalists." Their latest album, Dark Holler Pop, has received praise for creating witty lyrics for otherwise traditional music, refreshing the bluegrass-Americana scene. The album speaks of moving forward, taking leaps in the future, and of course, a little bit of romance. Focus on the future seems fitting considering the band is gaining more attention with every show performed. Some of this attention took place recently at MerleFest, a festival celebrating bluegrass, Americana, and folk music. Mipso's Joseph Terrell was honored with MerleFest's 2014 Chris Austin Songwriting Award for "Angelina Jane is Long Gone" from the Long, Long Gone album.